Our Navigator is on hand to guide you around the historic attractions and local hangouts in the 'City of Emperors'. The Renaissance Nanjing Olympic Center Hotel, one of the newest additions to our family, is the perfect gateway to one of China’s most alluring destinations. 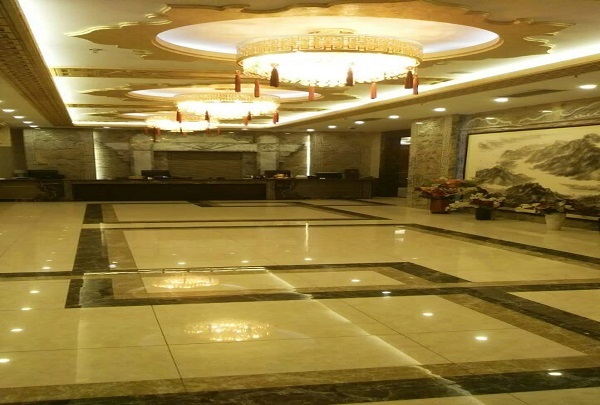 If you’re here for business, the hotel’s world-class facilities and our ideal location in the new Hexi business circle guarantee your trip will be as smooth and enjoyable as can be.Away from the world of work, there is much to do in the ‘City of Emperors’- one of the four great capitals of ancient China. To explore the charms of this unique city, our resident Navigator Karl is on hand to fill you in on the must-see historic attractions as well as a few of the more off-the-beaten-track local favorites. And if you prefer to stay in, why not unwind with a refreshing cocktail in the R Bar and then try some of the authentic Chinese fare on offer at our Wan Li restaurant. This classic Irish pub is an expat favorite and a super place to sip a pint of Guinness or Kilkenny while catching the game. Finnegans Wake brings Dublin's iconic nightlife culture to Nanjing with its barrel brews, classic pub grub, and upbeat atmosphere. The two-level pub has a comfortable but classy vibe with the upstairs space resembling a cozy living room, complete with fireplace and leather armchairs. A lineup of local entertainment keeps patrons returning time and again for comedy nights and live music. The well-rounded beverage list highlights a curated whiskey selection with top labels like Danny Boy, Famous Grouse, and Glenfiddich. 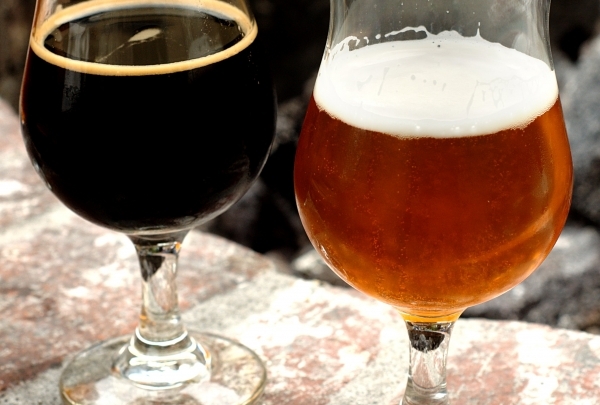 These pair well with hearty plates like steak and Guinness pie, Irish stew, and Clootie Dumpling. 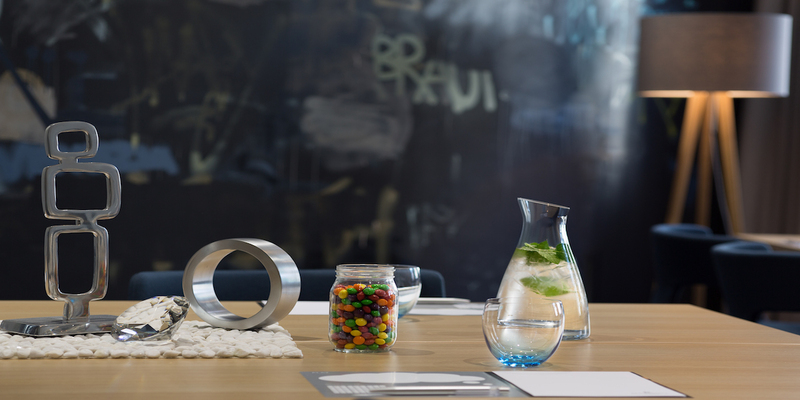 The atmosphere is laid back and informal, and a perfect backdrop to unwind with old friends or make new ones. 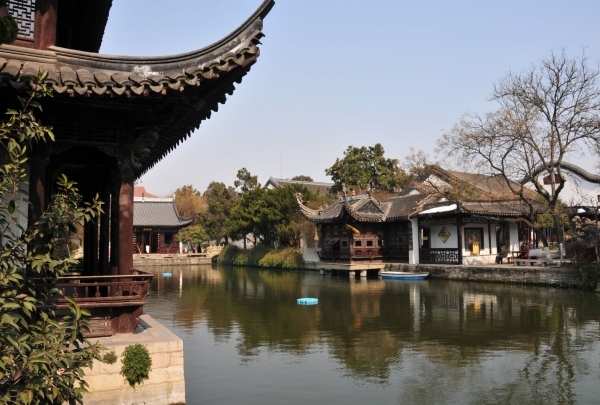 Opt for a sightseeing tour and take in Xuanwu Lake and its five picturesque linked isles via boat. Visit in spring for the cherry blossoms. 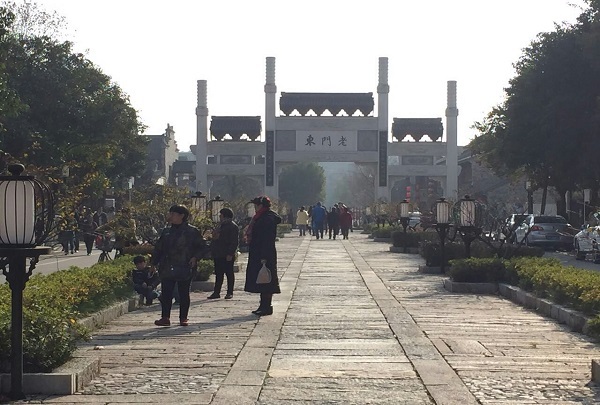 Situated at the base of majestic Zhongshan Mountain, this panoramic lake park is surrounded by ancient Ming walls, Jiming Temple, and Jiuhuashan Park. The natural lake has five green islands at its center, each with a unique scenic beauty and natural splendor. From cherry blossoms and chrysanthemums to pine trees and willows, these islands are a nature enthusiast's dream. Explore the islands and discover interesting spots like the Nuona Tower, Wumiao Zha, Lotus Garden, and Hushen Miao. A popular gathering place, locals flock here for the serene atmosphere, spacious gardens, boat rides, and seasonal festivals. This vibrant eatery combines the fun of street food dining and folk music in a dining hall setting and serves authentic local cuisine. Simple and dynamic, this series of food stalls under one roof positively buzzes with energy. Stone walls and tables under beamed wooden ceilings hung with paper lanterns infuse the space with rustic flair. On the menu is a variety of traditional Nanjing specialties, expertly prepared with time-honored techniques by an all-female culinary team. These include the shredded tofu in chicken broth, tangbao or steamed broth-filled dumplings, and pidu or pork skin noodles. The central stage hosts folk music every evening, making this a great place to soak in the cuisine and culture of this spirited city. This is a classic small chinaware shop. 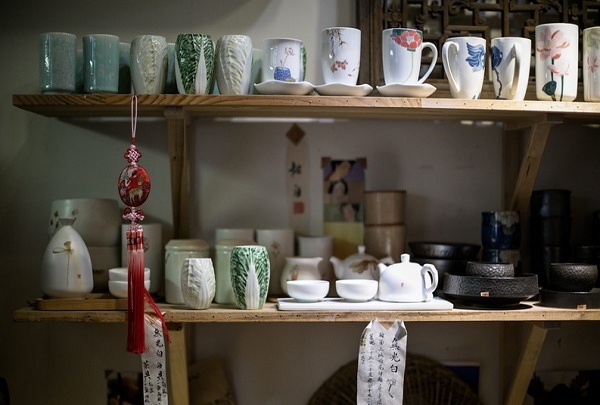 Selling Jingdezhen porcelain crafts, this store is not big but it has a welcoming atmosphere that makes shoppers want to explore its offerings. A blend of Ming and modern-era structures, the 90,000-square-foot Presidential Palace is an embodiment of over 600 years of Nanjing history. This sprawling complex is divided into three distinct areas: the Central, West, and East sections. Today the site is home to the China Modern History Museum, the largest one of its kind. Explore the Central section which offers information on the Kuomintang government, the West features the offices of Provisional President Sun Yat-sen, and the East features the executive department administrative offices, stables, and gardens. The Xiyuan garden to the west of the complex is an example of typical southern Chinese garden design, complete with pavilions and beautiful stone structures. Also home to the office of the provisional president, the first Republican-era cabinet meeting was held here in 1912. 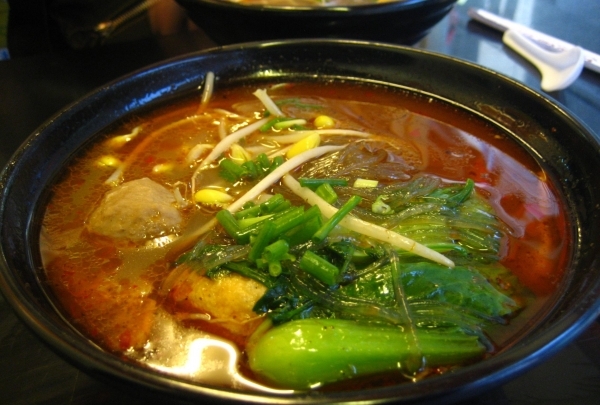 Serving local Nanjing cuisine, you can walk to this restaurant from the hotel. Shengshijinling boasts 19 differently styled rooms that give the restaurant a luxurious feel. The menu is filled with classic Cantonese and Huaiyang cuisine options. This subterranean mall is devoted to women's fashion and is lined with small stalls and independent boutiques to browse through. Fashion Lady is a one stop shop for all your fashion needs. Update your lookbook with fresh, trendy styles from around the globe. Well-organized stalls display a plethora of eye-catching merchandize from the latest fashions to everyday trends, including a wide variety of footwear and one-of-a-kind accessories. The split-level mall is especially popular with the hip, younger set in search of the newest trends at bargain prices. There are plenty of little restaurants and street food stalls too, in case you need a break from the retail therapy. It may take some searching, but you're sure to walk away with a few great pieces for your wardrobe before you leave. 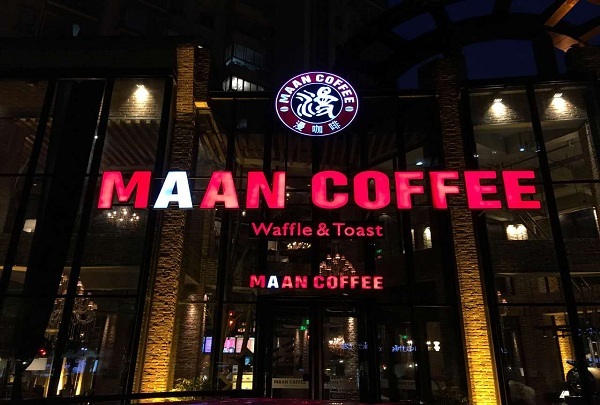 This is a large coffee shop that is located close to the hotel. This coffee shop has a very welcoming environment and good, attentive service. It is a great place to chat with friends, take a date, or just enjoy a cup by yourself. 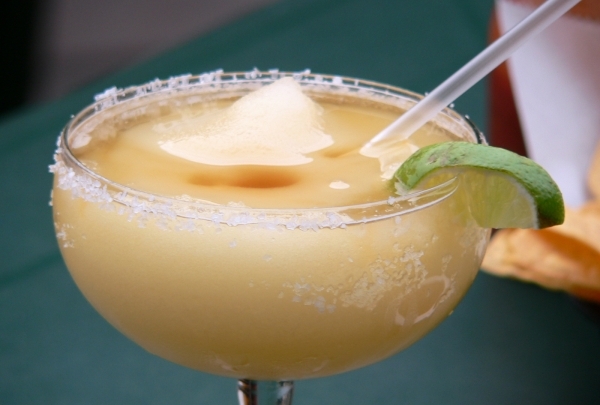 Discover a slice of Mexico at this upbeat Latin bar popular with the city's expat and student crowd; the classic margarita is tops! Axis features modern rustic interiors decorated in earthy tones of brick and ochre that create an inviting tableau. The vibrant bar has a great happy hour that draws in crowds from neighboring universities and businesses, with people mingling over pints of beer and signature cocktails. Pair Mexican-inspired plates bursting with flavor with refreshing drinks. Top picks here include the sizzling beef steak, chicken and pineapple pizza, and spicy chicken burritos. This casual bar/restaurant is a local favorite and one of the only places to enjoy real Mexican food and drinks in the city. Their sangrias come highly recommended! Take in the sights and sounds of the market filled with food stalls, bright souvenirs, and cultural gifts outside the Confucius Temple. Every evening, the area outside the Confucius Temple or Fuzi Miao comes alive as vendors vie for attention, selling everything from flavorful culinary specialties to trendy clothing. 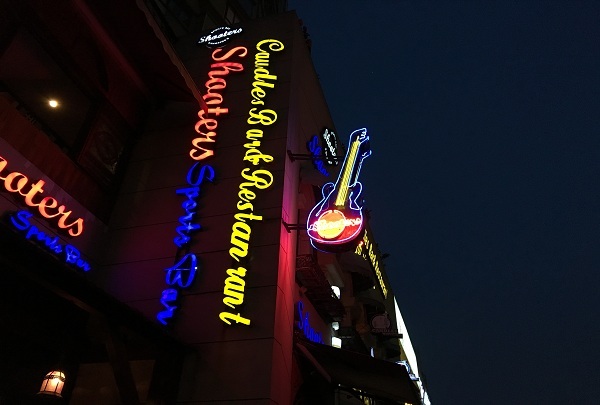 The area buzzing with tourists is a popular after-dinner destination and captures your attention with its eye-catching neon signs, delectable fragrances, and colorful craft wares. Take your time visiting different stalls to compare prices and don't forget to bargain - it's a given. The best time to visit is during the Chinese Festivals when the festive atmosphere and dynamic energy truly captures the spirit of this historic city. 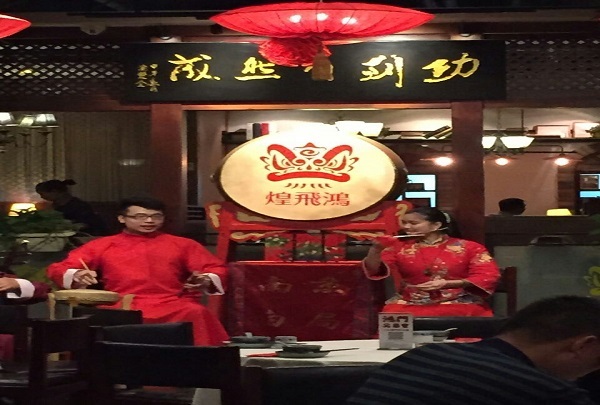 Visit this restaurant for a taste of ancient times in the the old city of Nanjing. 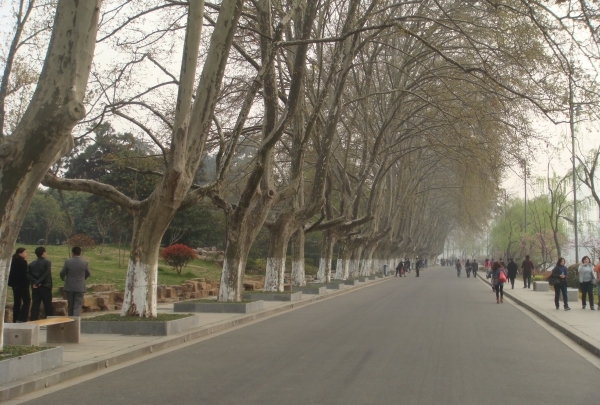 Lao Dongmen is located in Nanjing Qinhuai District. Here you can discover handmade kites, cloth paintings, bamboo carvings, paper cuttings, and puppet folk crafts. There is also a variety of traditional food snacks from the area. A very stylish western-style restaurant. This western-style restaurant is located very close to our hotel. The food is delicious and there is a singer performing each night. On the foot of Zijin Shan, this monumental shrine blends majestic imperial and modern architecture against a mesmerizing scenic backdrop. 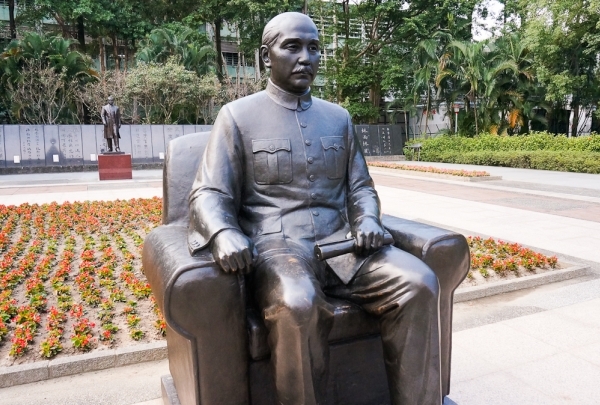 The father of modern China, Dr. Sun Yat Sen played an integral role in the revolution that overthrew the Qing Dynasty. A charismatic personality, he was honored by a state monument after his passing. Climb the tiered steps bordered by fragrant cypress, pine, and gingko trees to reach the vault. Pass beneath the tri-arched gate carved from marble, and you'll see the pavilion with its 9-meter Kuomintang memorial and the hall flanked by decorative huabiao columns followed by the vault further up the steps. Step into the hall with its ceiling painted with the Flag of the Republic of China, statue of Sun Yat Sen, and the Three Principles of the People inscribed above the doorway. The hemispherical tomb is situated to the north of the hall, with an Italian marble statue lying atop the sarcophagus that holds the remains of one of the nation's great leaders. Dine on gourmet European-inspired plates like slow-grilled chateaubriand paired with a glass of fine wine at this stylish restaurant. Studio 21 specializes in European cuisine that takes you on a culinary journey around the continent, with a special regard for Dutch fare. This cozy restaurant prides itself on using only the finest and freshest ingredients to craft dishes bursting with flavor and nuanced with subtlety. The contemporary space is at once elegant yet approachable, creating an inviting tableau to savor a romantic meal or a business lunch. Find crisp salads, robust meat dishes, delicate grilled fish, and authentic thin-crust pizzas on the menu. The provencal herbs grilled sole fillet, the pan-fried goose liver with Swiss mashed potato, and the grilled duck leg are top picks. Save room for dessert, the Dutch oven-baked apple with ice cream is superb! 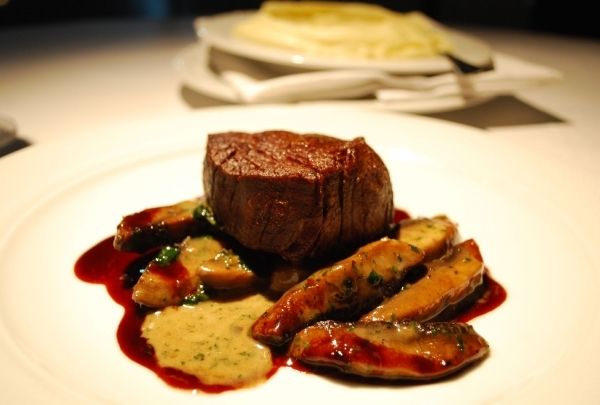 The restaurant offers a Vegas Casino Service, and you can set up a game post your meal. 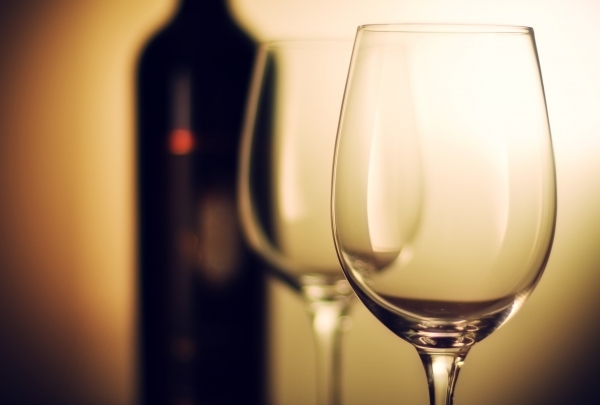 For an evening of lively entertainment and fine dining, this is an excellent choice. Once an underground bunker, now a bookshop, this store is a literary hub that invites bibliophiles to linger within its book-lined walls. This space today little resembles its origins as a bunker and parking lot, except for its sunken entrance. The vast store seems more like a reading library than a bookshop, with communal tables, comfortable chairs, and aisles filled with books of every genre, though humanities and social sciences are the specialty. 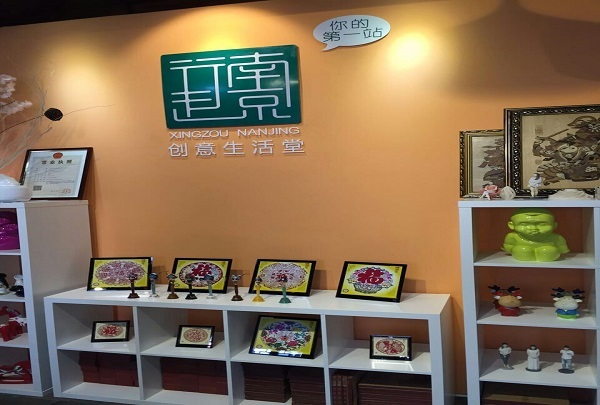 Students from the neighboring Nanjing University, book lovers, and tourists flock here for an afternoon of leisurely reading, research, or simply to explore this one-of-a-kind shop. A cultural landmark, this shop stands out for its indie vibe and unique decor highlighted by a checkout counter crafted from over a thousand old books, a replica of Rodin's "The Thinker," and a simple black cross mounted on a wall, a reflection of the owner's personal faith. You'll also find local art and exhibits here, as well as a cheery coffee shop. 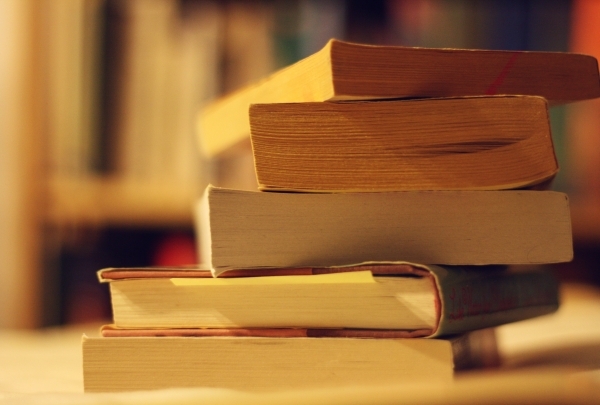 More than a bookstore, at Librairie Avant-Garde, reading is a religion, and a must-visit for every book savant. Sip on fine French wine as you exchange ideas at this cozy cafe hosting everything from open mic poetry nights to lively comedy evenings. One of the city's best kept secrets, this petit bar is hidden away among the winding alleys behind the Presidential Palace, five minutes from the vibrant 1912 district. Steeped in Nanjing's history and culture, this venue is a gathering place for the city's artists, musicians, and poets and is a platform for creative expression. Every evening brings new activities to keep you entertained like jazz discovery evenings, Hollywood movie night, and rock evenings - the lineup is truly eclectic. Handcrafted cocktails, absinthe served the century-old way, house-infused vodka, craft beer, and boutique wines pair beautifully with soulful music and conversations in intimate environs. A hidden gem worth searching out, Words ensures you have plenty to talk about when you get home and is a must-add to your itinerary! Huangfeihong Kungfu Restaurant has a variety of martial arts equipment decorating its interior. 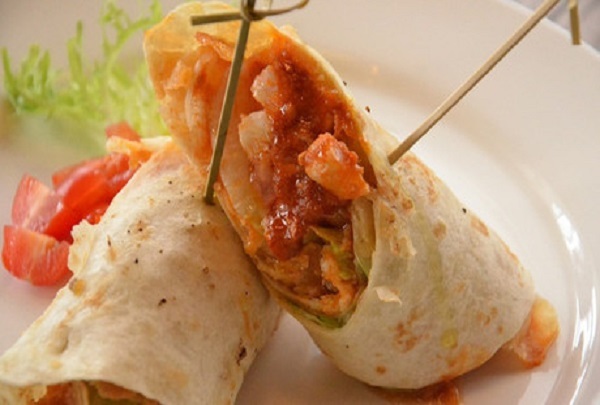 The cuisine features meals with a local Nanjing flair. This is a popular local souvenir shop. 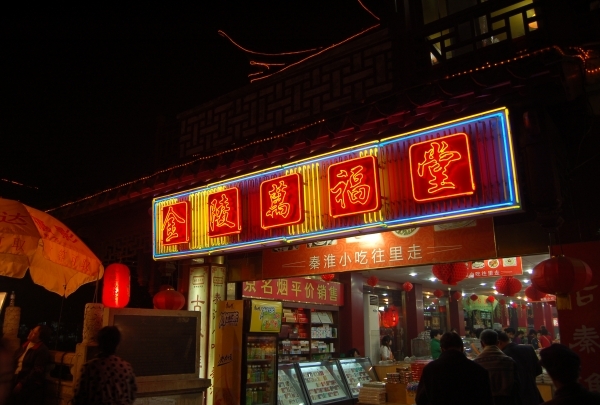 Located in scenic Lao Dongmen, this store sells souvenirs and some interesting small items. The shop is very trendy and geared toward young people. Cozy and welcoming local bar. 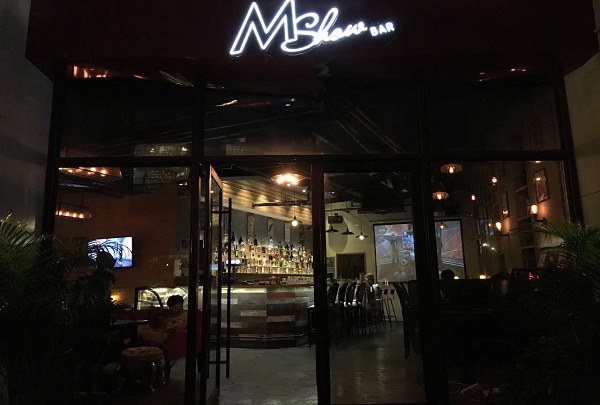 While not as big as other bars, M Show Bar is a great place to have a few drinks with some friends. A very appealing German beer bar. Candles Bar & Restaurant is a European-style bar that has singers on-site everyday. The food here is delicious and they have a good selection of wine as well. Upstairs customers can play American billiards and watch a ballgame.